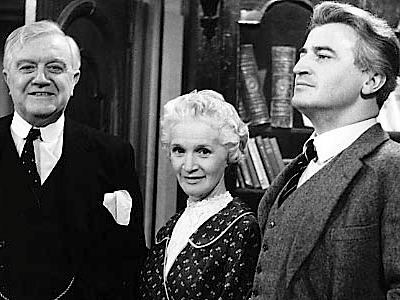 ONE of the most successful BBC television and radio series produced in the 1960s was 'Dr Finlay's Casebook', which was based on stories written by A.J.Cronin, who was born in Cardross and spent part of his childhood in Helensburgh. 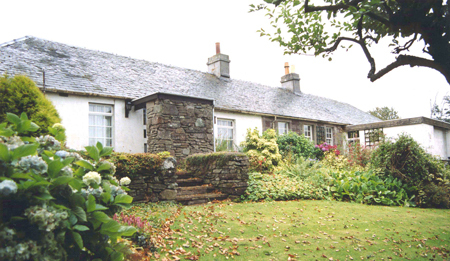 Dr Archibald Joseph Cronin was born at Rosebank, a cottage just outside and to the west of Cardross, on July 19 1896. His father, margarine agent Patrick Cronin, was an Irish Catholic whose parents owned a public house in Bridge Street, Alexandria. His mother, Jessie, was the daughter of a staunch Presbyterian, Archibald Montgomerie, who owned a hat shop at 145 High Street, Dumbarton. A ‘mixed marriage’ such as this across the religious divide was highly unusual in those days and children born of such a marriage often had a difficult childhood. Archibald, the only child of the marriage, was no exception. 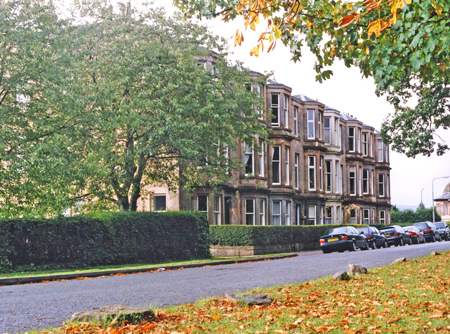 His parents moved to Helensburgh and set up home at 7 Prince Albert Terrace. He attended Grant Street School, known as the Ragged School because many of its pupils were the children of poor Irish immigrants who had come to Scotland to escape the dire economic situation in their homeland. He hated these schooldays and desperately longed to mix with the children of the better-off Presbyterian community, but because of his background he was not accepted. He became a lonely and unhappy child. His father died young, and so he and his mother left Helensburgh and she went to live with her parents in Dumbarton. However initially his grandparents refused to allow young Archibald to live under their roof, and he was sent to live with relations of his father. After a change of heart his grandparents eventually allowed him to live in their home with his mother, but no love was shown to the boy and he had to cope with being transferred from the strong Catholic influence of his father's relations into the staunch Presbyterianism of his mother's family. Jessie Cronin herself was a remarkable woman. Firstly, it had been courageous of her to embark on a marriage across the religious divide. Secondly, she later became the first female public health visitor employed by Glasgow Corporation, an achievement at a time when women were expected to remain in the home. Archibald's grandparents made it possible for him to attend Dumbarton Academy, despite continuing to show little affection. At his new school he quickly became a star pupil, as well as being a good athlete and footballer. However his fellow pupils gave him the nickname 'The Wee Pope' and he thoroughly disliked this. After leaving school he became a medical student at the University of Glasgow, but before he could complete his studies he had a period of war service as a Surgeon Sub-Lieutenant in the Royal Navy, serving aboard a destroyer. He finally graduated with honours in 1919, thus repaying his mother for her years of sacrifice. He worked in South Wales, at least one medical practice in Scotland, at Bellahouston and Lightburn Hospitals in Glasgow, and as an HM Inspector of Mines. When he was 25 and working at Lightburn Hospital in Shettleston, he married a fellow medical graduate, Agnes Mary Gibson, known as May, of Cadzow Lodge, Hamilton, at St Enoch's Station Hotel in Glasgow, and they had three sons. Between 1926 and 1930 he had a practice in London's famous Harley Street, but when he needed a complete rest after an illness he went to Dalchenna Farm, near Inveraray. There he wrote his most famous novel, 'Hatters Castle', published in 1931. The Hatter of the title, James Brodie, was obviously based on Cronin's grandfather. It was a powerful tale of life in a Presbyterian family and became an instant bestseller. However the success of the book had one negative effect — it completely finished the relationship between grandfather and grandson. Following the success of 'Hatters Castle' Cronin decided that a career in writing was to his liking, and so he gave up medicine. His books sold well and he produced several in rapid succession. 'The Citadel' was based on his own experiences as a young doctor in a mining village in Wales, and 'The Stars Look Down' was also set against the same background. In an autobiographical novel, 'The Song of Sixpence' (1964) a fictitious family called the Carrolls even moved into 7 Prince Albert Terrace in Helensburgh. He wrote that “there existed an air of tone which mother immediately liked, father ignored and which at first intimidated me". 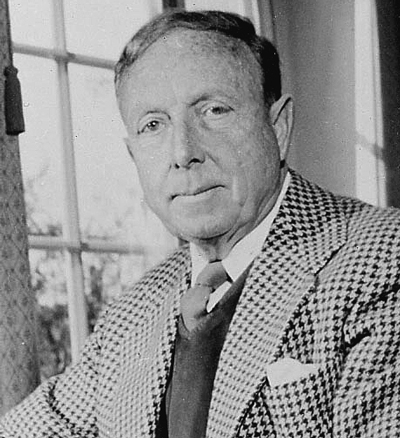 He was one of the first writers to cash in on the lucrative world of films and television, working on 14 film adaptations from 1934 to 1975 and numerous TV dramas. 'Hatter's Castle', released in 1942 and starring James Mason and Helensburgh's Deborah Kerr, is still available on dvd. The character of Dr Finlay of Tannochbrae was made into a popular TV series by the BBC. It ran from 1961 until 1967 and the episodes were based on characters from his 'Adventures in Two Worlds'. However Cronin was upset when other writers were brought in to work on new plots for his characters. He demanded that the series be brought to an end and it was only when he was made to realise how greatly loved his characters had become that he relented and allowed the production to go ahead. In 1993 Scottish Television made a further series of 'Dr Finlay'. His successes as a writer — and eleven films made of his novels — made Cronin, a keen fisherman and golfer, into one of the world's millionaires and, to avoid the high taxation payable in Britain, he emigrated to Switzerland where his home looked out over Lake Geneva. His friends there included Charlie Chaplin and Laurence Olivier, and paintings by Degas and Gaugin hung on his walls. But he became increasingly reclusive and so little of his later life is public knowledge. He died there on January 6 1981 at the age of 84. Thus ended the colourful life of a man who had been a pupil at Helensburgh's Ragged School, then an eminent Harley Street physician, and finally one of the best-loved writers in the world. Images of Rosebank and Prince Albert Terrace by Donald Fullarton.